Ramadanman switches to his Pearson Sound alter-ego for two killer Juke-infused roll-outs on Hessle Audio. 'Blanked' is the one you want, mapping percussive patterns somewhere on the cusp-of-'ardcore-and-garage, and Chicago Juke styles with a stunning midway drop sounding like early '90s Autechre pads. 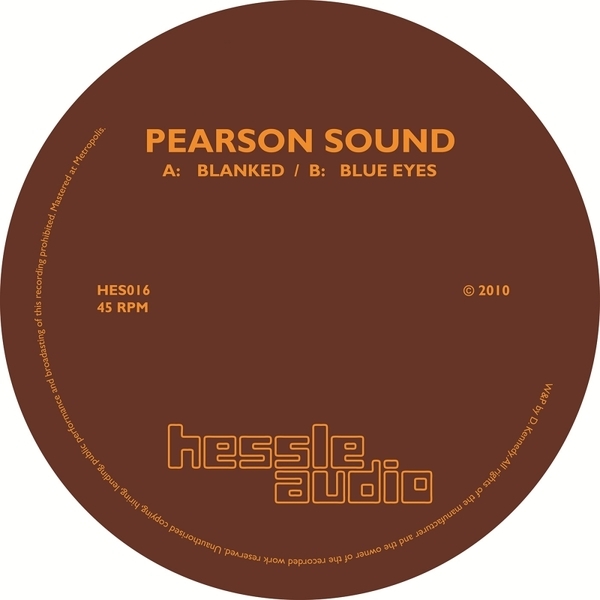 'Blue Eyes' takes the flipside for a straighter revision of the Juke sound with brittle, splintered rhythms and succinct synth drops and that infectious female vocal snippet, but for the most part this is just a perfectly formed naked roller ready for mixing by able DJs. While the distinctions between his two sonic personalities are becoming blurrier, there's a much-reduced aesthetic to these tracks that set them apart from pretty much all his recent material, making this a certified winner. Big twelve!